I made this masculine beaded necklace by combining natural semi-precious gemstone called "Verdite" or "African Jade" in forest green with occasional brown matrix, and also with well-polished Black Onyx and Tiger Eye with a beautiful golden brown luster. It is embellished with stainless steel simple spacers and some pewter accent beads in antiqued silver finish. Hanging from this gorgeous necklace is a 316L grade high quality stainless steel detailed Fleur De Lis pendant in antiqued finish. 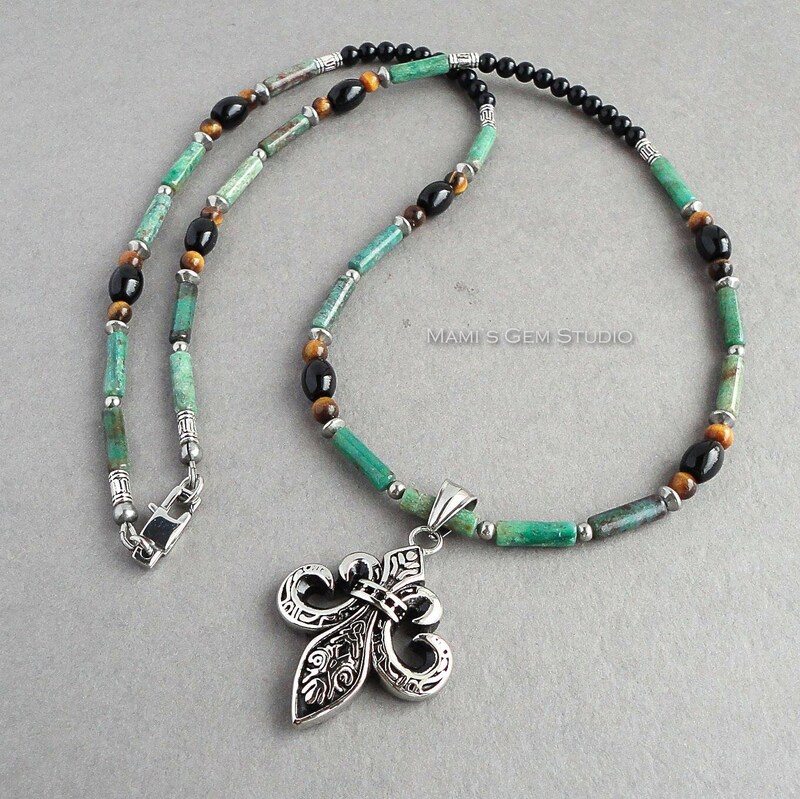 The necklace closes with a stainless steel rectangle claw clasp. All metal materials are lead-safe. An eye-catching piece!